Garagem was elected to be part of the 2001 Porto European Cultural Capital’s Agenda, and thus giving the agency the tools to commence a drum and bass monthly event. Before deeping into the electronic music, Garagem promoted rock events, giving birth to its odissey in 1996, with Garagem Festival, that took place in Guimarães. Due to its success this latter culminated in the compilation of a CD that showcased new Portuguese bands, such as Bergen-Belsen, Blind Man's Buff, Parkinson, Red Beans, amongst others. The CD proved to be another hit for Garagem,and so the agency moved on to create a zine, a magazine that homed new talents happening in Portugal. The 2nd edition however, already foreshadowed the influence of electronic music. The second magazine included a 10’’ maxi single by Phast Mike, the first drum and bass record to be edited in Portugal. NEXT LEVEL #6 @ HARD CLUB Dance music, mainly drum and bass, startedbeing Garagem’s sound of election. And in 2001 Garagem is elected, amongst hundreds, by the 2001 Porto Cultural Capital committee to host a drum and bass monthly event. Moving Fusion,Bad Company, Marky, Ed Rush, Ryme Tyme, Bryan Gee, Shimon, Red One, Optical, Mc IC3, Mc Riddla, Mc Stamina were some of the names that flooded the national dance floors. Its reputation led Garagem to be the chosen agency to do the line-up for the 2002 CBT Heineken Festival (with the exceptionof the trance arena), and also 2001,2003 Elektro Parade drum and bass arena, and Festival Paredes de Coura dance arena. Towards the end of 2003, Garagem felt a need to once again innovate and hence started a new cycle: Garagem@Junkie. Miss Kittin, an unparallel name of the electro-techno scene debuted this new cycle. Following up on its success, the press didn’t’ want to stand aside this phenomenon, and praised this new cycle as a must seen, long due in the Portuguese panorama. Garagem didn’t’ stop here and for the next gig invited the hyper trendy London Club NagNagNag. NagNagNag was the club of choice of the likes of Madonna, Bryan Molko, Boy George, Kate Moss and Christina Aguillera. 2003 was also the year that Garagem gave birth to one of the most ambitious projects ever to take place in the Portuguese electronic scene. In just 3 months Garagem, under the name Soft Club, invited the likes of Moving Fusion, Electric Indigo, Jazzanova, Nu Spirit Helsinki, Ladytron, JoJo de Freq, Angie Reed, Dj Marky, Bad Company, FC Kahuna, MichelleGrinser, Lo Fidelity Allstars, Chicken Lips, to name some. Till that date line-ups like that were only possible in big summer Festivals. Garagem had outdone it self once again. 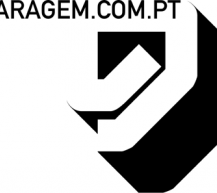 The media supported this initiative and once again commented on Garagem’s ability to innovate the dance scene in Portugal. 2009 is already turning out to be another massive year for Garagem. Already confirmed are some of the most iconic names of the electronic world music scene. 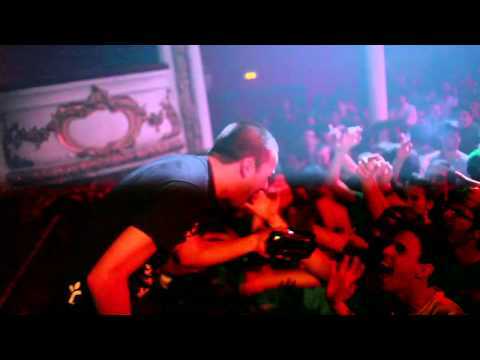 Garagem@junkie is being resurrected while garagem@dnb continues dazzling the dnb ravers. Garagem’s cultural input for 13 years is due to all that supported us, by coming to our events and embracing innovation. To them thank you! :: PUNK ROCK // INDUSTRIAL // ETC..
GARAGEM COMPILATION, BLUE ORANGE JUICE, GASOLINE, BLIND MAN'S BUFF, RED BEANS, MAGAZINE + DNB - PHAST MIKE 10, MAGAZINE+CD NOISE SESSION, ETC..